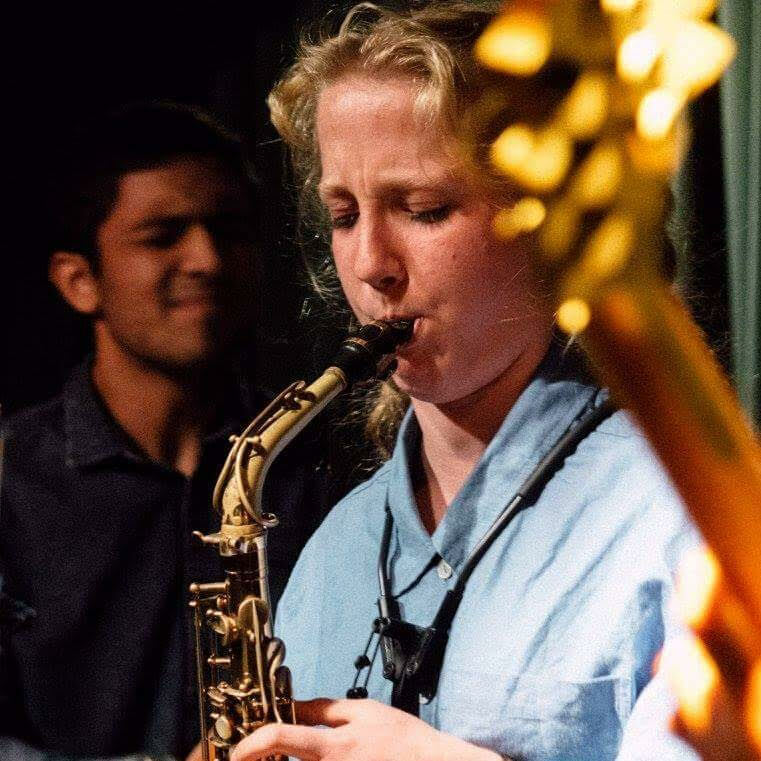 Girl Jam celebrates women's artistic achievements in traditional jazz music and dance with the intention of inspiring today's jazz-lovers in a supportive, collective learning environment. Our vision is a community where women are empowered, equal, safe and whose voices are recognised and celebrated. 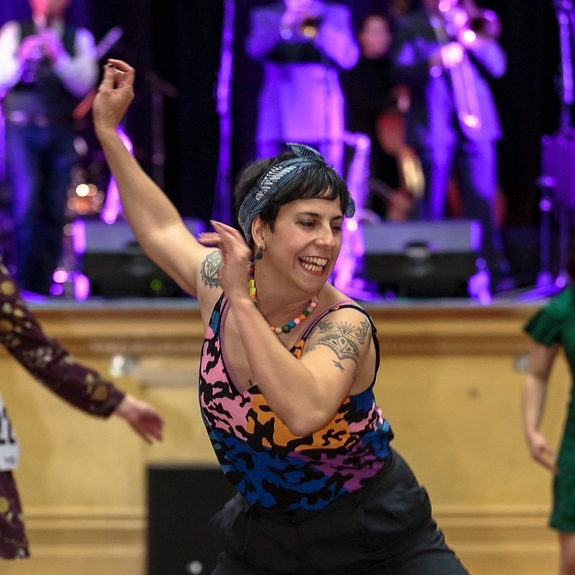 To bring that vision into reality, we host a workshop weekend that provides a safe space for women to connect and share the dance, to learn about historical women of jazz, and to participate in performance and competition opportunities. We always want the community to be able to say that we contribute positively to the culture and community spirit of our scene, that we are respectful and inclusive of everyone regardless of age, race, gender, sexual orientation and that we know how to have fun! "Girl Jam is a celebration of women. Girl Jams emphasize individuality and encourage the knowledge of Jazz dancing throughout its role in history, in hopes that women can bring these concepts to their partnered and non-partnered dancing. As an organization, Girl Jams bring awareness to women’s rights and supports artistic achievements within the community to both enliven and continue this art form. In 2018, Aussie Girl Jam celebrates and honors the women in jazz that are closest to us. There are countless women in Australia and New Zealand who have worked, and continue to work, tirelessly to ensure the vibrancy, health and spirit of our scenes. Aussie Girl Jam's teaching team will include legends from across Australia and NZ and we are so excited to showcase these women who are inspiring dancers and teachers, scene leaders and meaningful contributors to our dance culture. We are inclusive of ALL genders - You register as a dancer and dance you shall! This year we will offer a number of variety classes in other styles aside from jazz and charleston. These classes allow those newer to swing and jazz dancing to explore the world of solo dancing in a supportive environment. Explore movement, learn steps and gain confidence with this pass! This year we are excited to announce that our beginners will also be able to join the Variety classes and meet the other dancers in the weekend. All parties included with your full weekend pass. Party Passes available. Have a read to see what's happening each night as there's some really exciting things in store that you can be part of! Kick off the weekend with Friday night drinks at our Cocktail Hour, perform in our Re-Creation Revue and meet your Aussie Girl Jam 2018 teaching team. Location: Forever Dance, 432 Church St, Richmond, VIC. After the success of the 2017 Re-Creation Showcase, we’re bringing it back for 2018 and expanding the scope to a full revue! Whether it be solo or partnered, song or dance, drama or comedy, we want it all! Join us for a short selection of re-created routines from vintage-era clips performed by local dancers. How good is JAZZ?! This night is all about good jazz music, good jazz dancing, and a good amount of improvisation with the Girl Jam Slam solo contest. The Girl Jam Slam is BACK for 2018 with a slight twist. What remains the same is that this contest is about you, a buddy, and all the YAZZ! What is different is that you will be asked to demonstrate versatility across a range of solo dancing speeds and styles – from slow and bluesy to mid-tempo jazz to hot charleston. We wanna see it all! You enter as an individual and you bring your solo dancing A-game in the heats! Then, get ready to play doubles! Judges will select eight dancers for the final battle who will be randomly paired up into four teams. Two teams will face each other in an epic dance off until there is only one team left to take the Cup - did someone say 1, 2, 3, POIIIIINNNNT?! There wouldn’t be jazz dance without jazz music. Join us for a special screening of “The Girls in the Band” documentary (seriously, EVERYONE needs to see this!) and let’s celebrate women jazz musicians and finish the weekend with happy ears, happy feet and happy hearts. You’ll also get to perform the routines you just learnt! The all women collection of musicians was one of the most memorable nights of 2017 and not to be missed at Girl Jam 2018! Led by talented vocalist and dancer Georgia Brooks, this all star band delivers infectious swing classics that will inspire syncopation in your feet and a hop in your step. With a focus on the spirit of jazz music for dance, this band brings to the stage a lively repertoire of tunes and add their own touch of fun and sophistication. Driven by a strong rhythm section and complemented by their playful horns, this 6 piece will no doubt bring "all the feels" and keep you smiling on the dance floor all night long. Alice lives, dances and DJs in sunny Sydney. She loves jazz and has been DJing at local social dances and events since 2009. In her sets you will hear Basie, Hamp, clapping, Hammond organ, and that version of Easy Does It. You know the one. Alice has DJed at interstate and international events including the Little Big Weekend, Sydney Swing Festival, Sydney Lindy Exchange, Hullaballoo, Canberräng, Melbourne Lindy Exchange, Melbourne Swing Festival, Slowdown, and Herräng. Vanessa spent most of her childhood either playing music or dancing to it, and if she had known that social dancing existed outside books she would have been much happier about the idea of growing up. 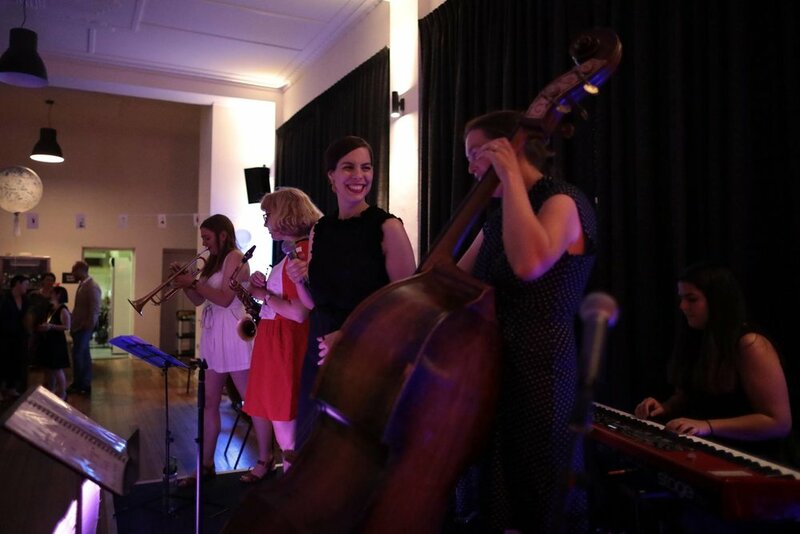 She loves making the party happen for dancers, be it a solid big band swing party for over a thousand people at Melbourne’s White Night or a groovy blues party for 20 people at a local social dance. She also likes blowing the lid on DJ secrets, the biggest of which is that DJ prep means listening to awesome jazz and blues all the time. What could be better? Vanessa is very much looking forward to seeing what you do with her music choices on the dance floor at Girl Jam! 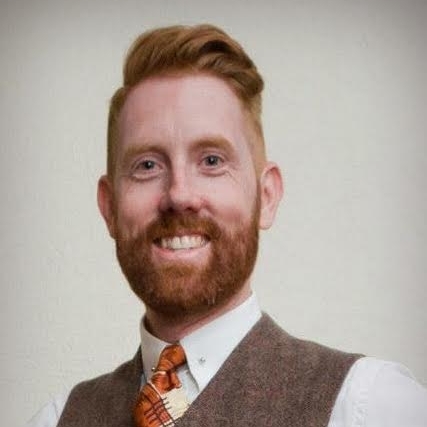 As an enthusiastic collector of vintage jazz and blues music, Trevor is a sought after swing DJ and has DJed at events all around Australia. He has also featured as a guest DJ on Yehoodi Radio (USA) and at the Herräng Dance Camp (Sweden). He has a particular passion for the music of the original bands of Harlem, tracks featuring hand-clapping and songs about food. Trev will be spinning the tracks for both the heats and final of the Girl Jam Slam contest. WOOP! Sarah has been DJing in Melbourne and at various interstate and international events since early 2000. As an experienced dancer and DJ, Sarah knows what swings hard and what keeps people on the floor for the good, long hours. She looks forward to DJing at Girl Jam in 2018 where she’ll share some of her favourite swingin’ tracks with you to get your feet and your heart dancing! 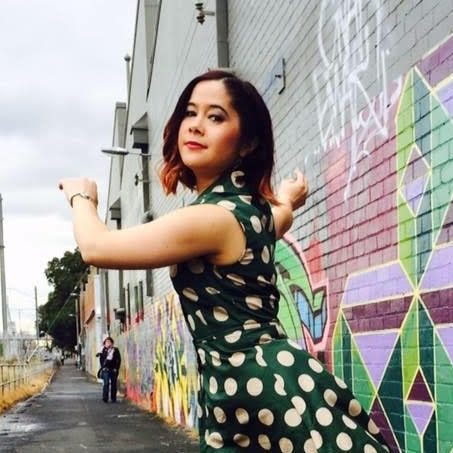 Loz is a fan of all things swing and has been lindy hopping and DJing for swing dancers for a pretty long time. Before she started swing dancing though, Loz was a bona fide teeny bopper, a lover of pop and student slave to the best dance breaks of the 90s. Loz will bring the party to Girl Jam once again on Saturday night. This option if for two adults that share the primary care of a minor. These two dancers will alternate attendance to workshops and evening events. REGISTRATION IS NOW CLOSED. PASSES STILL AVAILABLE AT THE DOOR. 1929 Studios' Code of Conduct. All cancellations, refunds and transfers will be charged a $30 handling fee. Contact Us. AFTER Feb 9th -Transfers allowed. You will be responsible for finding a person to transfer your pass to, Unless we have a waitlist, in which case, the spot will go to the next person on the list. AFTER Feb 23rd - No changes or refunds allowed.